Trekking into Everest base camp is challenging over mixed terrain, here is some raw footage all the way from Lobuche 4,920m/ 16,141ft. to Everest base camp at 5,364m/ 17,600ft. Not a lot of height gain but lots of small hills, up an down on glacial moraine. The journey to Everest is an amazing one, so make sure you have the physical conditioning for the trek. READ MORE about training and how to prepare for your Everest base camp trek. This footage is taken on day 9 trekking into Everest base camp remember you have been trekking daily at this point and you have to make it all the way back to Lukla over a 3 or 4 day period. Make sure you come prepared!! READ the daily distances you will be walking in and out of Everest base camp. This video shows the terrain up and down hills all the way along the Khumbu glacier up past Nuptse, along the glacial moraine into Gorak shep. 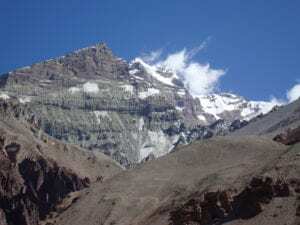 It then shows the 2 hour hike from Gorak shep into Everest base camp. This is not the easiest of terrain, you will be crossing big boulders, crossing through landslide and risky areas before dropping down onto the Khumbu glacier. Yes, Everest base camp is sitting on the glacier.